I willingly admit (and my wife will attest to the fact) that I am a bad driver. It’s not that I lack the requisite skills, it’s that I lack the necessary attention span. So much to see and look at as I cruise down the road…. RED LIGHT! Apparently, my willingness to acknowledge this shortcoming puts me among the small minority of Americans. In a famous study conducted in the 1980’s, researchers asked American motorists to rate their driving skills. An astonishing 90% of people responded that they were "above average drivers", which as you know is a mathematical impossibility. With the mean average being 50%, this meant that 40% of respondents were either blissfully unaware of their lack of skill or just outright lying. This act of self-deception is not limited to specific skills and abilities, as similar self-congratulatory results have been found in many other arenas and professions, including education. In a recent study, and at a prominent state college, when professors were asked about their classroom performance more than ninety percent of faculty respondents considered themselves "above-average" in the classroom. Wait, if asked the same question, how would I have answered? How would you? I think we both know the answer to those questions. What is the reason/rationale behind the cognitive disconnect? Arrogance? Pride? Ignorance? How did we get to a point where we have become hyper-critical of others while being blind to our own inadequacies? 1. Your personality. People tend to be overconfident of skills that reflect one’s underlying personality or character. For instance, if you are naturally outgoing and gregarious, you might have an inflated sense of your ability to tell a joke or make a friend. 3. Your measurement rubric. If the evaluation of the skill set was more subjective (such as being a good friend), they rated themselves higher than if the evaluation was objective (calling or writing your friends regularly). 4. Your experience. The greater the level of experience someone has, the more likely they were to be over-confident. It turns out that the confluence of persona, gender, measurement, and experience determines how we feel about not just the task, but how we feel about ourselves as well. Scientists believe that as an act of self-preservation most people will seek areas in which we are comfortable in our persona, role, assessment, and experience. I know this to be true of myself. As I teacher I believed in myself and what I was doing but was I truly pushing myself. My school(s), were low SES (socioeconomic status), but that was my personality. I was an authoritarian teacher, but that is my personality. 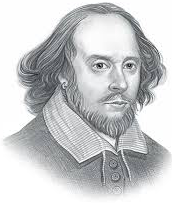 My accolades were aplenty, but to be clear, I knew how to choose literature that would be received and rewarded well. This is what I learned from my experiences. To any and all who surveyed the landscape, it appeared I was the captain of my ship, but secretly wondering how I had managed not to hit an iceberg after all of this time. Whether out of vanity or embarrassment, I kept my weaknesses hidden and my blindspots covered. I worried about being found out for the “hack” of a conductor I secretly believed I was. I may have been the captain, but I wasn’t charting a course in untamed waters, but rather in waters I knew where the dangers might lie. Social scientists would suggest that I am not alone in these behaviors. But as music teachers we cannot completely escape the exposure that comes with our weaknesses. Our professional world cannot be completely filled with things that match our natural personals. We must deal with the certain and uncertain. And our work is measured by both objective (ratings/scores) and subjective (artistic) ways of making art. And while each day has its rituals and routines, it is often accompanied by the unpleasant and unexpected. So there we are, bouncing in-between the bi-polar status of illusory superiority and inferiority, and just trying to balance it all in some manageable and meaningful way. No matter how hard I put on the “front” of being the man & musician in-charge, I was often secretly just hoping that nobody would notice, that in some situations, the man was nothing more than a scared little boy. It is part of our human nature and our profession to be self congratulatory and self loathing from time to time. Just remember, it’s okay not to be as confident as you appear, because I promise that you are not as inferior as you sometimes think you are. We are all perfectly perfect just as we are. We are also all perfectly imperfect just as we are. It just depends on the circumstances. And remember to wear your seatbelt when I’m driving. Imagine yourself hosting a party or a family gathering. You invite a group of friends and are celebrating a milestone or a special event. The party is going strong and you realize you are out of glassware. Not wanting to slow the momentum and energy, you sprint to the kitchen to get some glassware and you see Bill Murray in your kitchen doing your dishes. No, you're not imagining it. It really happened. Crashed a bachelor party to offer some unsolicited advice on love. Hopped behind the bar at an Austin watering hole to sling cocktails. Walked up to a Cubs fan desperately trying to get a ticket to the World Series and invited her to sit with him. Inserted himself in a Sunday family kickball game. Walked onto a construction site and read poetry to the workers. According to IMDB, He’s popping up in so many random places that there’s even a website and a documentary by Tommy Avallone to tracking the actor’s whereabouts and activities. "The Bill Murray Stories: Life Lessons Learned From a Mythical Man is an inside look at rare and never-before seen footage of the comedic icon participating in stories previously presumed to be urban legend. 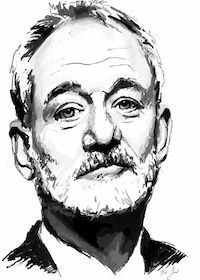 Whether it be singing karaoke late at night with strangers or crashing a kickball game in the middle of the afternoon, Bill Murray lives in the moment and by doing so, creates magic with real people. " Why does Murray do it? What’s his motivation? According to Avallone's, the answers lie both in Murray's films and the reflections of those he's touched in real life. “For Murray, life itself is a form of improv: When a situation arises, he meets it head-on and responds not as it should be but as he wants it to be. To the person, everyone who has been a part of his impromptu drop-ins says they came away from it feeling not like they'd met a movie star, but like they'd been lifted up by the experience. He lives entirely in the moment, they say, and it's never about him. I have never been especially good at living in the moment. I rarely savor a victory or revel in an accomplishment. My instinct is to move on and tackle the next problem. For most of my life this was more than my mentality, it was my identity, and I suspect will always be. You may be similar in this way. But, in recent months, like Murray I have felt more compelled to stop, watch, and listen. I am wanting to be a participant more than a leader and be WITH them instead of in FRONT of them. Why do I share this? Because I know how BRUTAL February and March are for a music teachers. Registration deadlines, contest, school musicals, all-region auditions, concerts, and the like have us running ragged and always wondering, “I don’t have time to go to the bathroom, how am I going to find time to fill out a purchase order?” The demands and deadlines are as real as they are non-negotiable. But as you navigate through your day, perhaps you might remind yourself that we work with children. We create art. And that spontaneity and joy are more than a part of the artistic process, they are necessary parts of a healthy human experience. In the end, no one will remember your contest scores, they will remember how you made them think and feel. Bill Murray’s adventures teach us an especially poignant lesson for an age when so much of life is lived outside the moment, via social media, where so many make it all about themselves. In the end, Avallone's film isn't really about Bill Murray at all, but his example. And it might be easier to emulate it than we think. p.s. Look for a special announcement in your inbox tomorrow. p.p.s. If you see or know Bill, please tell him he is welcome to "drop in" on any of my sessions! The Lotto, Contest, and Being Protected by Suge Night! Yesterday, after a delay of nearly three months, an anonymous South Carolinian claimed the $1.5 billion jackpot from the Mega Millions lottery held in October 2018. The winner, who has elected to remain anonymous, chose the one-time payment cash option, making the prize worth nearly $878,000,000. It is the largest jackpot payout to a single winner in U. S. history. While we don’t know “who” received the three quarters of a billion dollars, we do know “how” they won it. It turns out that while in line to buy the ticket, the winner allowed another customer to step in front to buy their ticket, leaving the benefactor of the kindness wondering what could have been. Invariably you hear from lottery winners, "I’m not going to change, I will still be the same person I have always been.” Most people scoff at this and opine about what they would do with the money if they won. (SPOILER ALERT, mine involves having the President’s Own at my beck and call.) And, while we may never know if the winners honor their words, the sentiment does have some substantial science & psychology behind it. In the book DRIVE, The Surprising Truth About What Motivates Us, author Daniel Pink does a deep dive into the way our minds think and how our bodies work. The New York Times bestseller gives readers a paradigm shattering new way to think about motivation. "Most people believe that the best way to motivate is with rewards like money—the carrot-and-stick approach. That’s a mistake,” says Pink. In this persuasive new book he asserts that "the secret to high performance and satisfaction—at work, at school, and at home—is the deeply human need to direct our own lives, to learn and create new things, and to do better by ourselves and our world." Drawing on four decades of scientific research on human motivation, Pink exposes the mismatch between what science knows and what business does—and how that affects every aspect of life. He examines the three elements of true motivation—autonomy, mastery, and purpose. As we approach contest season it’s interesting to think about how we as teachers, and our students, are motivated. If you agree with Pink, and I do, techniques such as playing tests, practice records, and chair placement, while effective, actually inhibit the overall growth of the student and the ensemble. This does not necessarily mean we should approach everything as if we were a hemp wearing utopian vegan commune in the woods, but that we humans are pre-programmed to want to be challenged and that extrinsic motivators can serve to inhibit that innate desire. If I study harder I will get an A. If I work harder I will get a leadership position. If I practice more, I will be first chair. But is that the way we want them to think? Do you want a student who will only learn for personal gain?Do you want a leader who works only when rewarded?Do you want a musician who only practices to beat their peers?Do you want an ensemble who celebrates the rating they received more than the music they made?Do you want to be the teacher who is remembered for their ratings more than their impact? Studies show that the our minds are willing and wanting to work. And when we stray from that premise of “why” people work, we end up impeding excellence and not creating it. After all, you don’t put in all those hours for a carrot of a paycheck do you? You don’t spend your nights and weekends at rehearsal because you fear being fired, do you? Likely not, as YOU are a model of intrinsic motivation who doesn’t just do things right, you do them for the right reasons. So ask yourself, “What would I do after I won the lottery?” I have a sneaky suspicion that many of you would spend a portion of your winnings on your program and continue to serve music education in some way. p.s. If I won that much money, I would still write this e-zine, albeit from a large mansion on a remote island. You might think me guarded & distant, and you would be right. Just so you know, I won't just be "guarded" emotionally, I will physically be guarded by Suge Knight at all times. In addition, I will hire John Cena to protect ME from Suge Knight. So yeah, SOME things will change. This is the last part in a three part series about keeping your passion alive & Burning On! 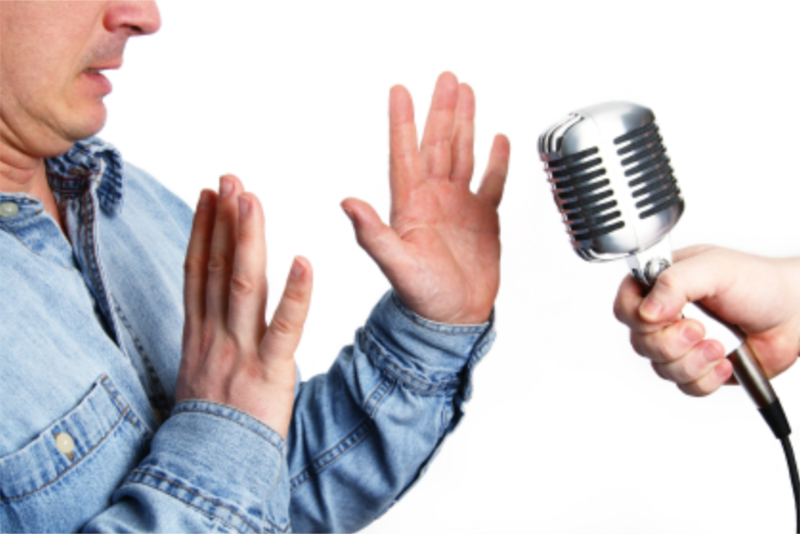 Glossophobia, or speech anxiety, is commonly known as the fear of public speaking. The word glossophobia derives from the Greek word glōssa, meaning tongue, and phobos, fear or dread. Some people have this specific phobia while others may also have broader social phobia or social anxiety disorder. Overall, fear of public speaking is by far and away America's biggest phobia - 25.3% say they fear speaking in front of a crowd. Glossophobia led by a wide margin over arachnophobia (spiders), ophidiophobia (snakes), arcophobia (heights), and arachibutyrophobia (fear of peanut butter sticking to the roof of the mouth). Yep, according to a recent survey, talking in front of a room full of people is more terrifying than clowns, tall buildings, and lunchtime sandwich mishaps. For those of you who suffer from glossophobia, fear not, there is help. There are public speaking coaches, relaxation exercises, books, and articles filled with peaking rules designed to ensure that your oration is met with adulation. Yes, time tested and sure fire tips, techniques that guarantee success. And I ignore all of them. Anyone who has ever been to one of my sessions or attended a presentation knows that my style is, well, unorthodox to stay the least. I move too much, talk too fast, sit people too close, and deliver too much content. Yes, I am the anti-speaker speaker. This was not a conscious decision or done with a great deal of forethought. But after sixteen years teaching and talking to kids, I had found my voice, my style, and my message. It was authentic to me and seemed to resonate with kids! In short, it works. At least it works FOR ME. There is no one way to speak and if there was we could only impact or affect one type of person. I speak the way I taught, my way. Not the right way, not the wrong way, just my way. And I suspect you are similar in your uniqueness in your teaching, both in knowledge and delivery. You have blessings & curses, successes & failures, and dreams & fears. You are uniquely you and have the ability to impact your students, community, and this profession in an equally unique way. Just know that your reach can stretch far beyond your classroom and your sphere of influence impacts more than just your students. It's important to think beyond what is immediate and right in front of you in order to know what is possible. You need to see that as you grow and evolve as a person and professional so does your influence. You many not feel or see it, but it is there for everyone else to see and believe. Sometimes you have to just trust and take the leap of faith towards your greatness. That is unless you have achievemephobia (fear of success). And yes, we can help with that too. Carla Marina Marchese is a Honey Sommelier. Yes, that’s correct, and not just your ordinary run of the mill one, she is an internationally respected and revered honey expert. In a recent article she explains that, "When we taste honey, we don't do the ceremonial swirl — the wine expert's ritual — before we sniff. Honey sommeliers smear. Listen, I’m the type of guy who keeps honey in a teddy bear container and if blindfolded would struggle to taste the difference between a fine honey and Louisiana Hot Sauce. But then again, I am just your average Joe while Carla is among the world’s leading honey experts. Article author Jason Wilson writes that "When she detects a metallic taste in the honey, she knows the beekeeper has likely used rusty equipment. When she tastes too much smoky flavor, she knows the honey came from an inexperienced beekeeper who uses too much smoke because he’s afraid of bees. Which is to say Marchese’s palate is so finely tuned that she can literally taste the beekeeper’s fear in a smear of honey." Mustard. Honey. Hot sauce. Welcome to the era of surprisingly specific expertise. The Sommelier of everything is here! Granular specificity is not just reserved for those with fine honed pallets and super taster taste buds (and yes, that's a real thing, too). The are mechanics who only work on carburetors from 67 Ford Mustangs, surfing instructors that only teach dogs, and authors whose sole source of prose is contained within a fortune cookie. Generalization is out and specificity is in. And music education is not immune to the to granularization movement. In fact, in many ways, we are leading the charge. In the past thirty years music education has evolved to the point that many programs now have specific and unique show designers, program coordinators, movement specialists, choreographers, drill writers, music arrangers, instrument specialists, and drill instructors. We have apps, tuners, iPads, and instrument specific private lesson teachers to help us ensure with great specificity and micro accuracy that we are playing what we are supposed to, when we are supposed to, and where we are supposed to. And if not, a flock of pseudo instructors will swarm on you like bees on honey! Yes, like a wine Sommelier, I can walk into a room and smell the fear of a young teacher. I can detect the slightest notes of procrastination and lack of accountability among the body of students. I can read body language and detect the slights after nodes of disengagement and apathy. I can speak with direction and distinction and is implied with pedagogical pedigree. How can I do this? Because I have dedicated my life to being a Secondary Education Music Education Leadership Sommelier (I just like writing that). Others outside the profession might think it odd. They might think my job weirdly specific or far to narrow in scope. That’s ok, I don't understand their honey, and they don't have to understand my music. The world is plenty big enough for us to coexist. And so is the world of music education. Despite it's narrow scope, the space is large enough for all of us to coexist and compliment one another, while being different. Last week’s response to my "Burn In" e-zine was among the highest I have ever received. In that newsletter I suggested that in order to keep from burning out, you needed to burn on! My point was that inside this seemingly small profession are hundreds and hundreds of more granular pursuits. Opportunities to explore passions and professional pathways that can excite and engage as if we were new teachers once again. And that the specificity of these pursuits is not a liability, but an asset and an opportunity. The question is, what is your Sommelier? Last week, I stated a problem. This week, I propose a pathway. Next week I will provide a solution. Stay tuned and have a great week.